Christmas displays are already going up inside Canadian retailers, but this weekend there’s a chance to make a different kind of purchase. There are a number of sales events going over the next two days in the GTA, so check out one (or more) in your area. J. Davis House by Mattamy Homes and Biddington Homes (pictured above): Private Early Registrants Event, Saturday, 1pm, 1955 Yonge Street. Beacon Hill by Averton Homes: Townhome Release, Saturday, 11am, 300 Mearns Avenue, Bowmanville. Briar Hill City Towns by Madison Homes: Grand Opening, Saturday, 11am, 2 Wingold Ave, North York. Amber Condos by Pinnacle International: Grand Opening, Saturday, 12pm, 5044 Hurontario St, Mississauga. Picnic Condos by North Drive: Open House, Saturday and Sunday, 12pm, 2126 Bloor Street West, Toronto. 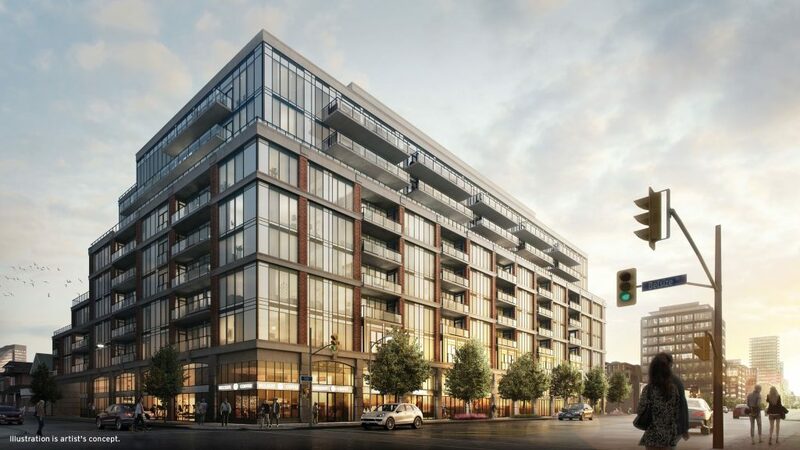 Fifth on the Park Condos by Elad Canada: Preview Opening, Saturday, Saturday, 12pm, Sheppard Avenue East and Don Mills, Toronto.